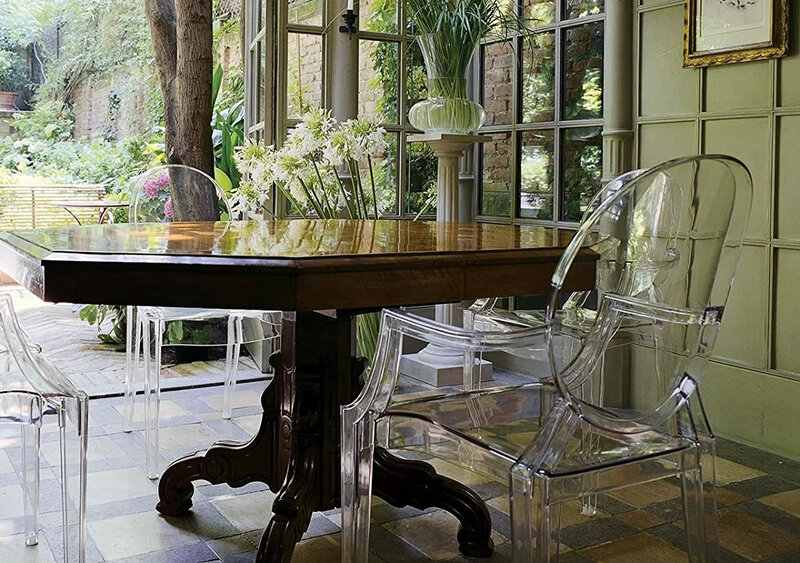 The dining room has what looks like Louis Ghost Chairs by Philippe Starck for Kartell. Louis Ghost Chairs are available in a variety of beautiful translucent and transparent colors. 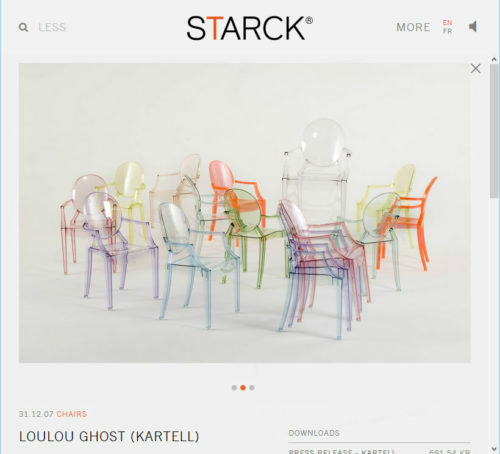 Did you know Louis Ghost Chairs now come in colors? Maybe they always did, but it’s news to me. 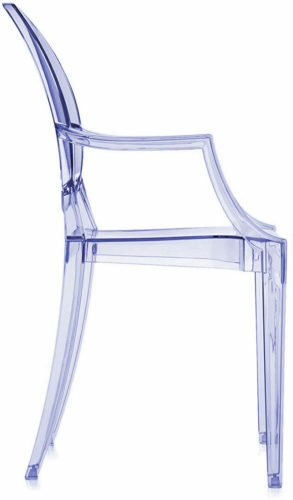 A really unique design, this injection molded chair was based on the lines and scale of the classic Louis XVI armchair. It fits into so many settings. My nephew Andrew got reproductions at Ikea to go around a rather heavy Gothic table. Looks great! 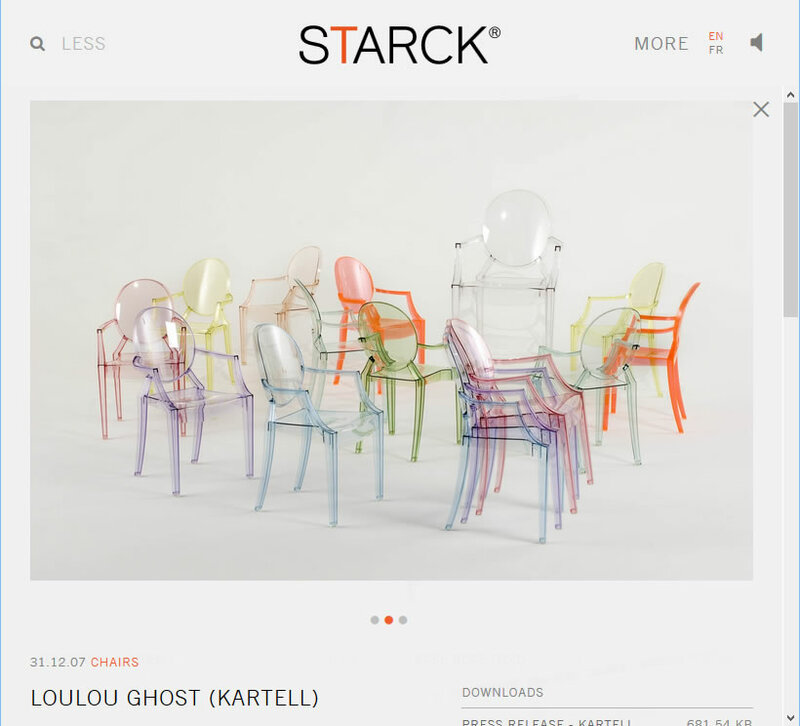 Pillippe Starck’s website shows Loulou Ghost Chairs, smaller versions of the original Ghost Chair. Pillippe Starck has a lot more items in his “democratic design” plastic-furniture line now. 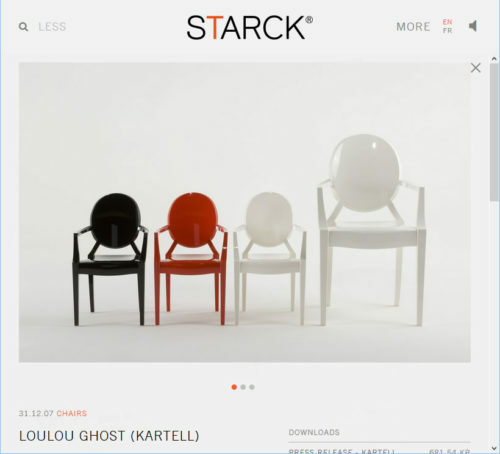 Loulou Ghost Chairs are shown on Starck’s website. 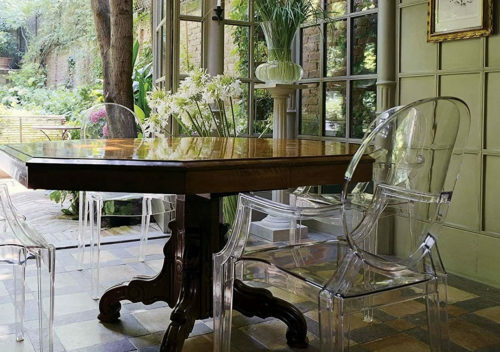 The chair on the right is a Louis Ghost Chair. The three on the left are Loulou Ghost Chairs, “baby” versions of the same chair. 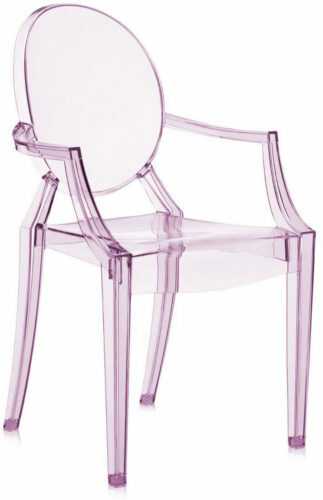 Like the original, Loulou Ghost Chairs come in a lot of beautiful translucent or transparent colors. 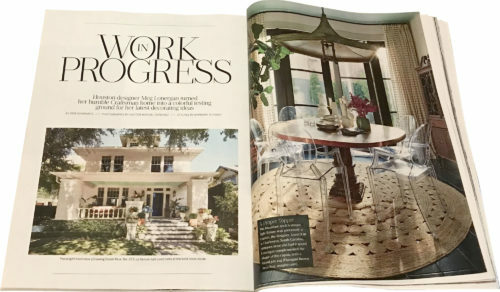 And, of course there are plenty of copies available. 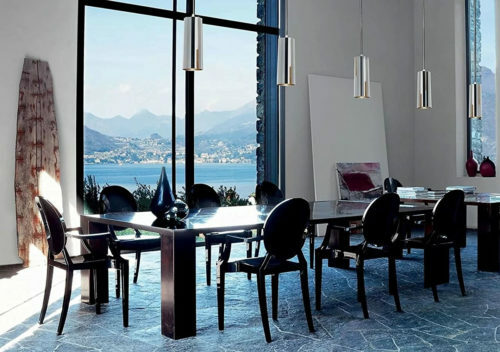 This entry was posted on April 10, 2018, in Chairs, Furniture. Bookmark the permalink.